As was promised to us last month, the recently completed TMNT fan film, titled Casey Jones, is now online for everyone to watch, free of charge. Congrats to the entire cast and crew for putting together a really great and impressive final product! Back on February 8, 2010 (quite a long time ago), a trailer for a Casey Jones fan film showed up on YouTube. 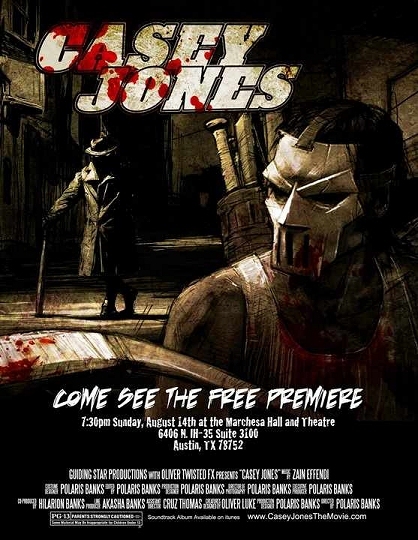 Fantastically, the project didn't get left forgotten, and last night the movie premiered at a free screening in Austin, TX. Ninja Pizza reader and mega TMNT fan Samuel Barrera attended the screening and wrote in with a report. After assaulting Cousin Sid during hockey practice, Casey Jones is kicked off the team with no where to go and no money to his name. Moving back in to his mom's house, Casey realizes that his old stomping grounds have gone from bad to worse. 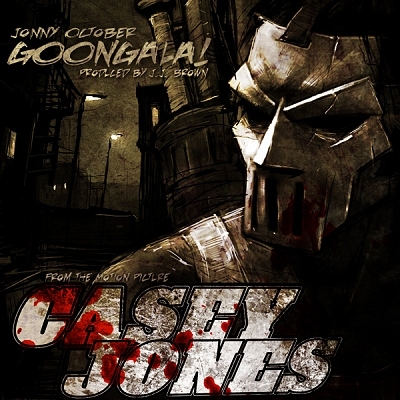 Vowing to change things, Casey dons his mask and sets out to let the bad guys know... it's HIS town. Hilarion Banks gives a very convincing performance as the hockey player turned vigilante. The violence level is turned up quite a few notches and when the bad guys get hit, we feel it. Casey doesn’t just trip people with that obviously painful hockey stick of his. 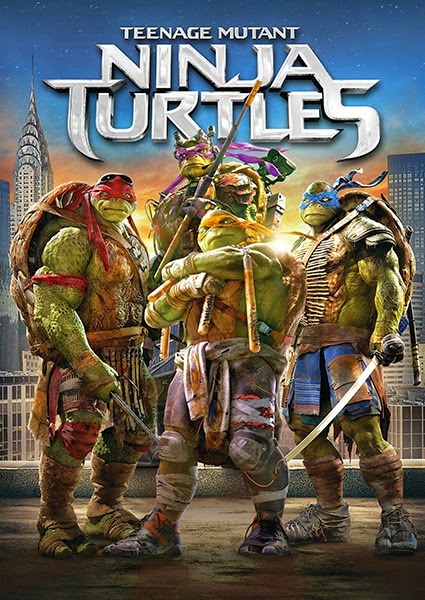 Another great surprise in this film was the inclusion of Michelangelo. Though most people know that Raphael is the first to meet Casey, here we see Mikey, who is actually voiced by Robbie Rist, the voice of Mikey from all three films. Now, while I’m not clear on whether Robbie Rist’s voice was recycled from the other films or if he actually voiced the character, it fits in smoothly. And the Turtle suit used is truly magnificent. While it doesn’t impress as much as the original animatronic suits, this is possibly one of the better suits I’ve seen in any fan film. There are also many nods to the different franchises, including the first TV series. Many of which will make any fan boy as giddy as a little school girl. You can read Samuel's full report here. 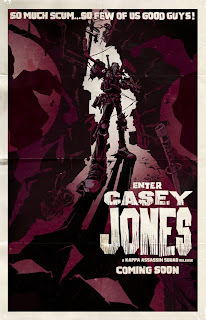 For the rest of us who weren't in Austin last night, the movie will be online to watch for free at caseyjonesthemovie.com, starting September 17, 2011.